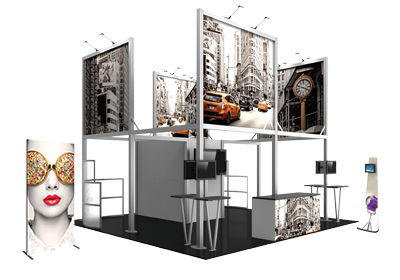 SpeedPro Imaging specializes in creating attention-grabbing graphics that will capture and hold the attention of visitors at any trade show or event. From banner stands to free-standing pavilion display structures, and everything in between, we have a wide variety of display options available. All SpeedPro Imaging display products are made of the highest quality materials and our printers produce photorealistic images and vivid colors. Ask your local SpeedPro Imaging dealer for a catalog. © 2019 SpeedPro Imaging Handbook. All Rights Reserved.